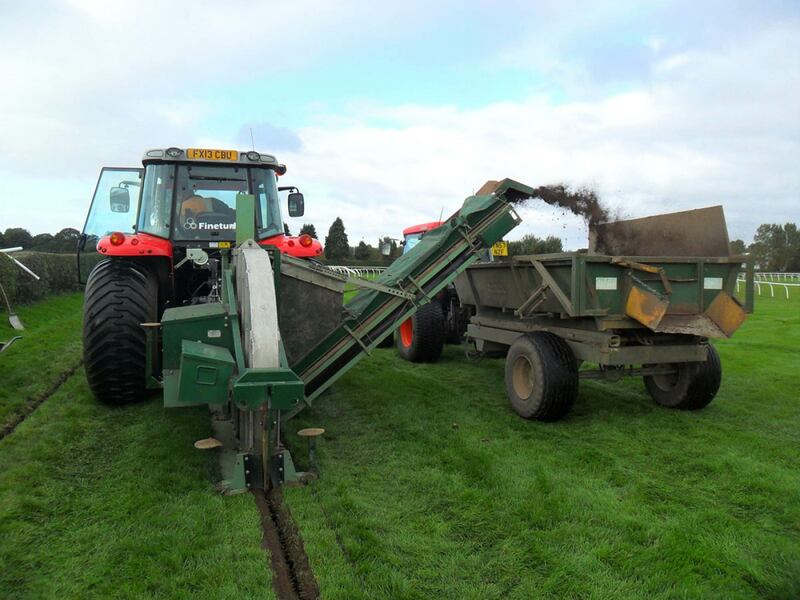 Whatever type of sporting activity, efficient and effective drainage is essential in maintaining a good quality playing surface. 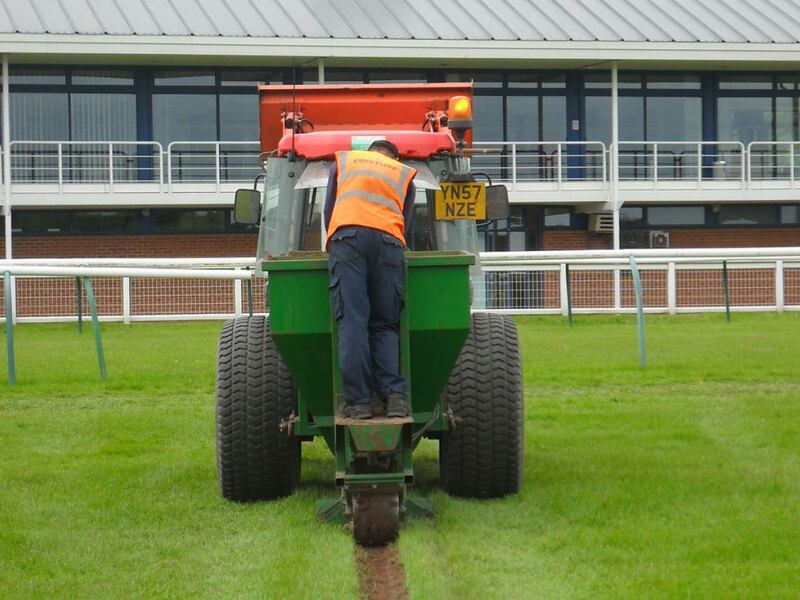 Loss of use due to waterlogging or damage to the grass can result in cancellation of games, dissatisfied sportsmen, lost fixtures and potentially financial losses. An efficient drainage system will eliminate most of the problems, reduce compaction and allow easier and more effective maintenance. 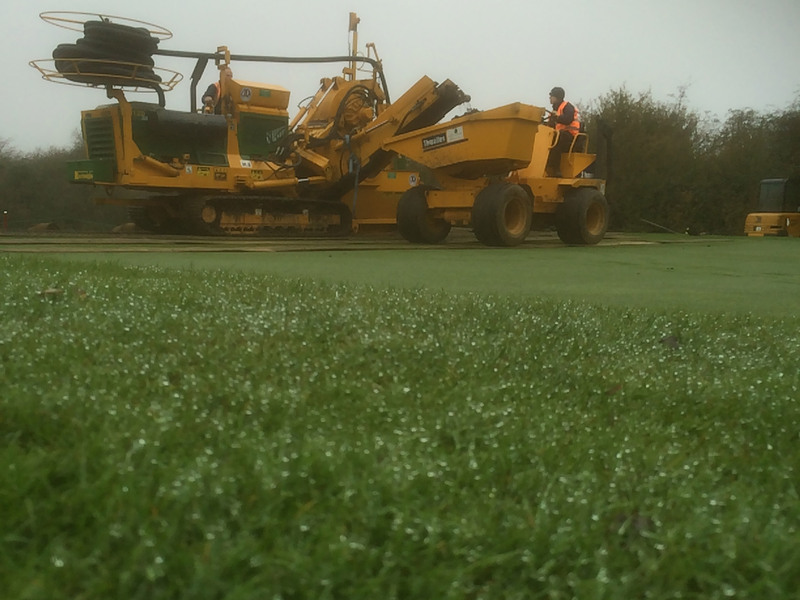 Improved drainage will result in better soil structure and a better quality grass sward and ultimately a better playing surface. 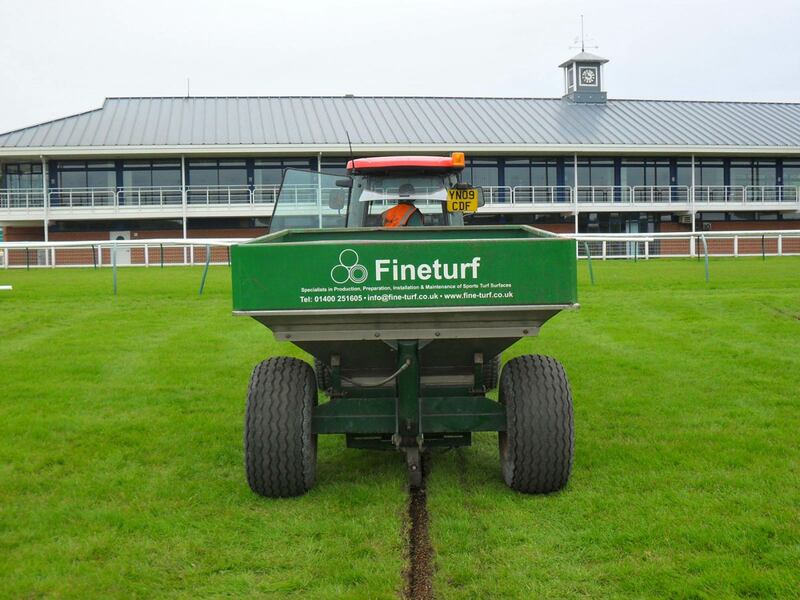 Fineturf fully understand the needs and pressure on sports clubs and local authorities to provide high quality, high yield playing surfaces all year round. Our philosophy is to give honest and practical advice at all levels. We use our experience and technical knowledge of soil mechanics to provide our clients with solutions with their specific needs in mind. We investigate and evaluate each proposed project and produce site-specific recommendations. 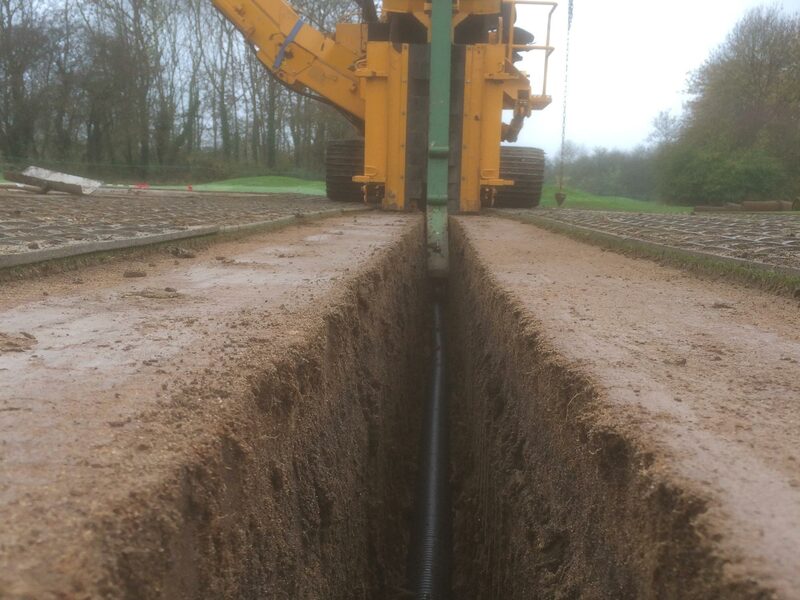 Secondary drainage, such as sand slitting or banding, may be used as additions to a primary piped drainage system to increase surface infiltration and improve drainage of the surface and upper part of the growing medium. 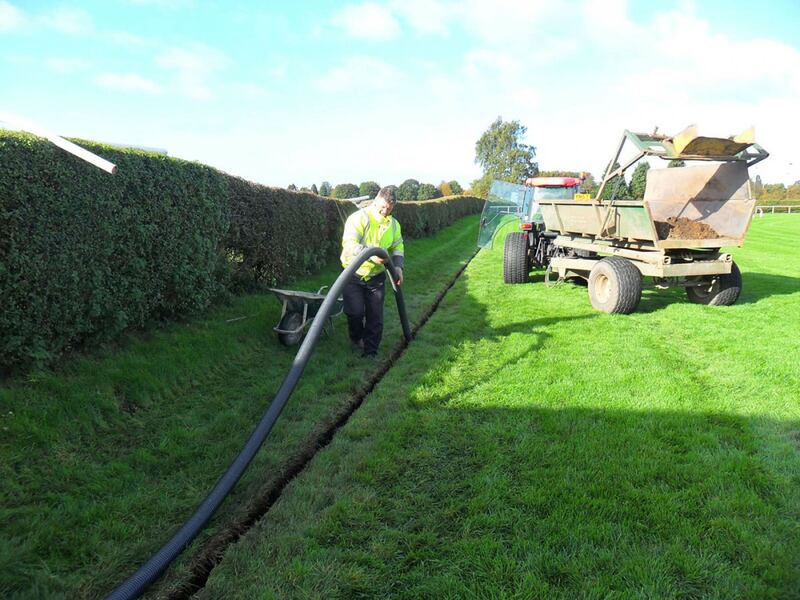 “Sand slitting” refers to narrow trenches from which the soil has been removed, usually 50mm wide and between 200-300mm deep, partly backfilled with gravel and topped with sand or rootzone. Gravel or sand banding refers to where soil has been displaced by a blade or tine and a band of gravel or sand is placed simultaneously. Our irrigation team offers a wealth of experience and in depth knowledge to provide effective, reliable and best value solutions for your irrigation requirements. All our systems are designed to suit the individual clients’ requirements and use the most effective and appropriate products available to cope with the demands of the 21st century. Using our extensive fleet of specialist machinery enables us to meet the high standards expected. Whether you require a complete design and system specification, installation, reinstatement or ongoing maintenance, we deliver professional, best value services to our clients. Our team provides a one stop shop solution for all irrigation and drainage solutions. We are dedicated and committed to providing best value and cost effective irrigation and irrigation packages, backed by an excellent on-going service and support regime and total impartial engineering advice and solutions.